Activision, Rovio and LucasArts companies cooperate with each other to bring one of the most famous mobile game to home consoles. This autumn you will be able to play Angry Birds Star Wars sitting on your sofa and using PS3, PS Vita, Xbox 360, Wii, Wii U or Nintendo 3DS. The console version of Angry Birds Star Wars will be released on the 29th of October in USA and on the 1st of November in other regions. 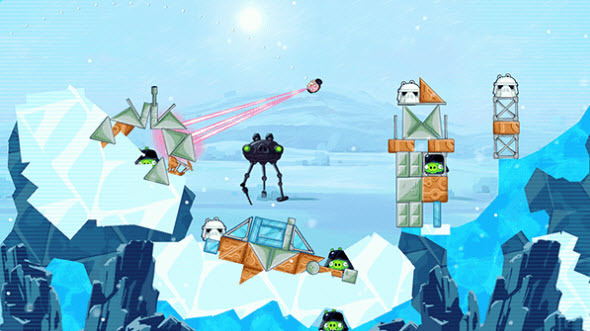 It will be a traditional war between birds and piggies based on the extremely popular Star Wars universe. Unlike Angry Birds Star Wars for mobile devices, the console versions will bring to the gamers 20 brand-new levels and special content. The developers are sure that you will spend about 25 hours throwing feathered Luke and Leia to the piggies' death star, and after you will be able to take part in the multiplayer game. 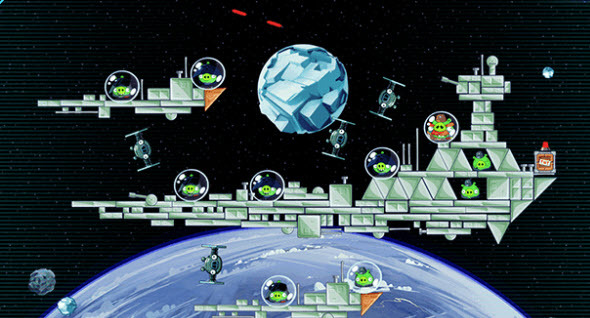 In Angry Birds Star Wars for consoles there will be two different multiplayer modes. You will be able to cooperate with your friend and fight together or to compete with other players.